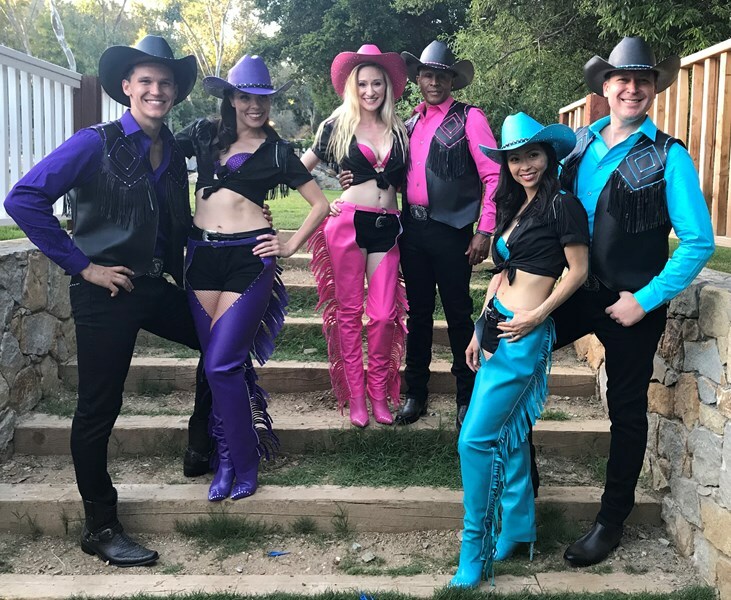 We manage and produce vocal groups (Barbershop, Gospel, Doo Wop, Motown, Classical, Pop Culture, Patriotic, Holiday...) and traveling shows, one of which may be perfect for you and your guests for upcoming events and for any occasion! 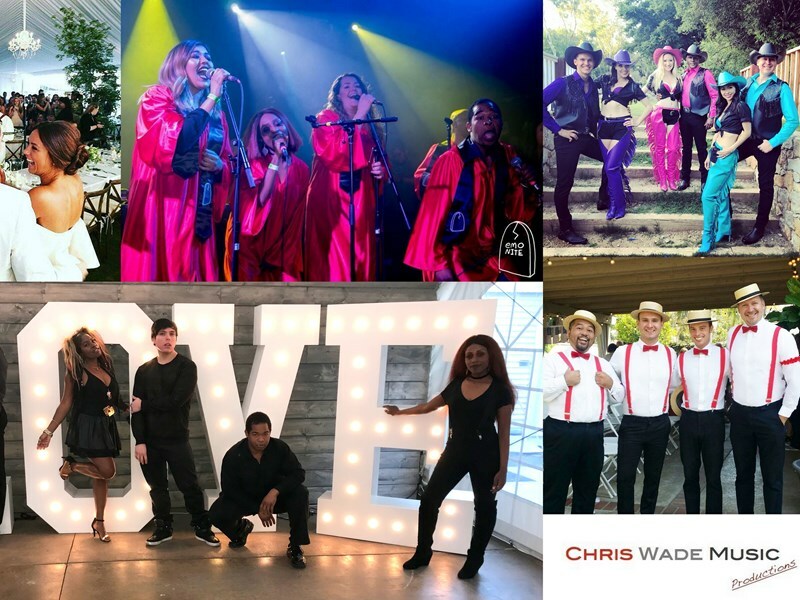 Our groups have been seen recently with Jamie Foxx on an Annie Promo with Sony Pictures, on The Weather Channel (promo for AMHQ), as the opening act at ADL's Awards gala for Mark Burnett and Roma Downey, and at private parties and public events near you! We are currently booking our vocal groups for end of summer events as well as autumn and the holidays! We specialize in personalized singing telegrams and engagement proposals, as well as Patriotic events and private parties needing that touch of sentimental nostalgia. Parks and conventions center, inside or outside, full performance or more background ambience, our professional singing groups bring engaging and inspiring entertainment and infectious energy to our wide array of services. We take pride in our existing vocal groups specific genres, but we are also a company that literally makes our clients' ideas come to life! From corporate promos needing specific talent and material, to the Birthday girl or soon-to-be fiances about to be surprised with that special song, we can turn musical dreams into a lifetime of memories! - The Ghoultide SCARE-olers - a spooky silly fun and chilling vocal group comprised of the undead. For kids and adults! - The BEACHIES! - Retro Swingin' Swim Suit Clad 50s/60s gals and guys singing all the hits of the Summer past and present! - CALOR - a latin party group comprised of spanish singing and dancing talent, with optional showgirls and drummers! Our vocal groups have performed recently (in or out of costumes) for country clubs summer parties, birthday singing telegrams the city of Lancaster for Celebrate America on the Boulevard, for wedding rehearsal dinner parties, weddings, proposals, a Gospel-surprise for a TV actor's Birthday hosted by actress Judy Greer, as the opening act for the Anti-Defamation League's Awards Dinner honoring Mark Burnett & Roma Downey, for American Express, The American Numismatic Society at The Waldorf Astoria, for "Chopped" winner Nick DiBona's new restaurant Madison Kitchen, Huntington Country Club, The Stanwich Club, The Coral House, for Toys for Tots at FAO Schwarz & Toys R Us, and have been featured singing on: 30Rock, Fox News' Huckabee Show, and the premier of AMHQ with Sam Champion on The Weather Channel (Civic Ent. Group). If you are still looking to book an act, we can assure you a quality performance from one of our talented vocal groups. Was great working with Chris and his group. They're very good and accommodating. I used them for a marriage proposal and they were easy to work with and made the whole thing perfect! We hired RAISE Gospel Choir through CWMP for a blessing we had. What a joy that was! The singers were on time, professional and they sounded absolutely amazing! I only wish they could have sung for longer. Chris was great to work with too. I definitely will be using them again! Amazing to work with. What a great team of people. They really went out of their way to make our event special. Can’t wait to hire them again!!! They were a great group! Very personable and engaged the audience! A friend already asked me for their info! Thanks for making our party sensational! Thanks, Marge! We had a blast! It's easy to be engaging and friendly when your guests and family are so fun and welcoming! :-* Thank you for having us yesterday at Ron' 75th party! Please note Chris Wade Music Productions will also travel to Alhambra, Bell Gardens, Glendale, Huntington Park, Maywood, Monterey Park, Bell, Hollywood, Pasadena, South Pasadena, Montebello, South Gate, Burbank, Beverly Hills, Inglewood, Rosemead, San Gabriel, San Marino, Culver City, Downey, El Monte, Lynwood, Pico Rivera, Toluca Lake, Universal City, Willowbrook, Compton, La Canada, Montrose, North Hollywood.